Community Workforce Solutions, Inc. is a private non-profit organization which was founded in 1964. 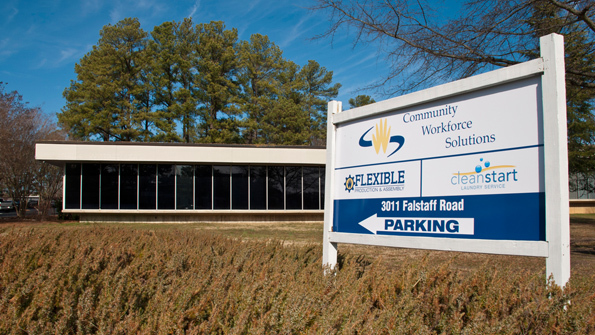 Formerly known as Raleigh Vocational Center, Inc. we have a long history of providing quality supports in our community. In 2004, we assumed operation of INCO in Henderson, NC. We changed our name to Community Workforce Solutions, Inc. in 2007 to provide more unity and to accurately reflect our mission. All of the agency’s programs are currently accredited by CARF International, an international accreditation which the agency has held for 39 consecutive years. COMMUNITY WORKFORCE SOLUTIONS empowers people and promotes independence for persons with disabilities or other barriers to employment by providing job training, placement and community integration opportunities. COMMUNITY WORKFORCE SOLUTIONS envisions a community where everyone who desires to work, can work, given the right supports.